On this page you can view council home swaps where the tenant actually lives in Hailsham. To view more swaps clicks the next page button below. Or if you want to add your Hailsham mutual exchange please use the box below. 3 bed converted to 4 but can easily be taken down. Suitable for disability needs has 2 WC. Nice size back garden parking for 2 cars front has been blocked paved with brick flower beds nice quiet area. 2 bedroom house with both double rooms. Large kitchen/diner Front and back garden. South facing back garden. Double glazed, gas central heating. Parking outside of house. Separate toilet and bathroom. Looking for 3 bed house, in East Sussex. We have a 3 vedroom townhouse but the top floor ia the entire room and could easily be seperated to create 2 bedrooms. We are close to a bus stop, brand new primary school is being built. There is a play park, lake, field and football and basket ball court. Lovely area and house is only 7 years old. 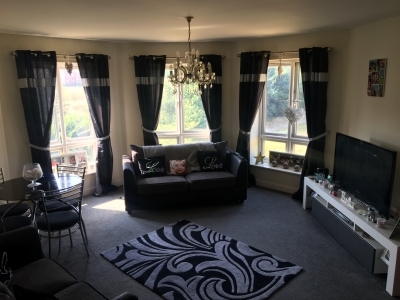 my property is a spacious 2 bedroom flat located in hailsham which has a front and back garden. one room has been completely redecorated as well as the bathroom. the kitchen and lounge are open planned with a dinning area on the side.The property is roughly 10-15 minutes walk to the main town where all the shops are and there are bus stops within a 5 minute walk.